French painter. 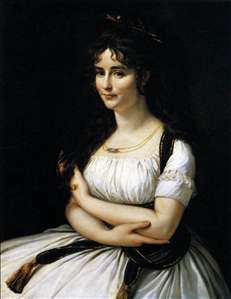 He trained with his father, a miniaturist and then with Jacques-Louis David. 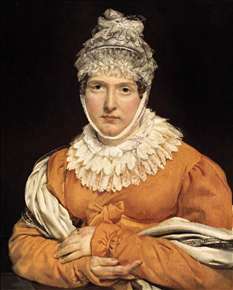 Although he revered David and became one of his favourite pupils, Gros had a passionate nature and he was drawn more to the colour and vibrancy of Rubens and the great Venetian painters than to the Neoclassical purity of his master. 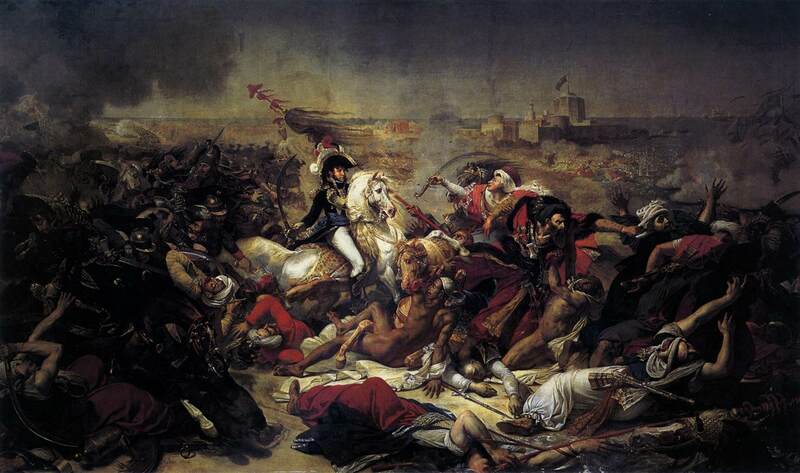 In 1793 Gros went to Italy, where he met Napoleon and was appointed his official battle painter. 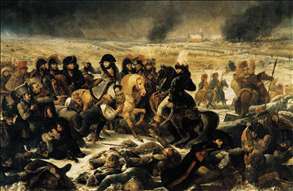 He followed Napoleon on his campaigns, and his huge paintings such as The Battle of Eylau (Louvre, Paris, 1808) are among the most stirring images of the Napoleonic era. 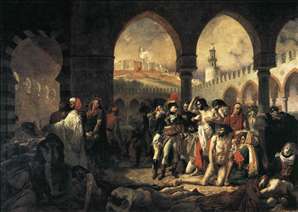 Compared to the contemporary war scenes of Goya, they are glamorous lies, but they are painted with such dramatic skill and panache that they cannot but be admired on their own terms. 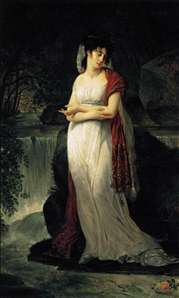 When David went into exile after the fall of Napoleon, Gros took over his studio, and tried to work in the more consciously Neoclassical style. 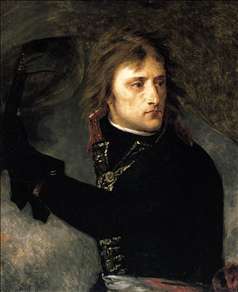 He never again approached the quality of his Napoleonic pictures, however (although he painted excellent portraits), and haunted by a sense of failure he drowned himself in the Seine. 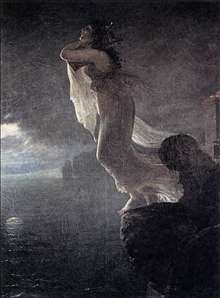 Gros is regarded as one of the leading figures in the development of Romanticism ; the colour and drama of his work influenced Gricault, Delacroix, and his pupil Bonington amongst others. See more details about "Madame Pasteur"
See more details about "Bonaparte on the Bridge at Arcole"
See more details about "Napoleon Bonaparte Visiting the Plague-stricken at Jaffa"
See more details about "Christine Boyer"
See more details about "Sappho at Leucate"
See more details about "The Battle of Abukir"
See more details about "Napoleon Bonaparte on the Battlefield of Eylau, 1807"
See more details about "Portrait of Madame Récamier"